The Volkswagen oil change coupons and service specials make it easy to keep up with your routine maintenance needs. We routinely rotate our service specials so that you can make use of everything from VW oil change coupons to brake service discounts to great prices on tire services. Before you schedule your next service appointment in O'Fallon, do yourself a favor and use our current auto service coupons. Whether you’re on the hunt for VW oil change coupons or auto service specials, our attentive and highly-trained service department will accommodate you and your Volkswagen. Contact us at your convenience to learn more about our available service specials! FREE Rotations & flat repair with the purchase of 4 tires. 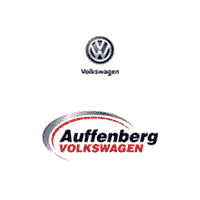 Every vehicle needs routine auto service to stay in great shape, and at Auffenberg Volkswagen we like to help our customers save as much as possible while keeping their vehicles in great shape. That’s why we offer a number of service specials — from VW oil change coupons to tire rotations, seasonal maintenance, and more — to help you get the best price possible on auto service that will keep your car running great. You’ll find special offers on all kinds of service including things like oil changes, tire rotations and much more. Not only do we make it easy to afford the tire service you need, we also have competitively priced tires for you to drive home on. Some specials, like our military discount, are always available to eligible customers so you can take advantage of those at any time. Other offers are available for a limited time, so be sure to act quickly. If you don’t see a special that suits your needs today, be sure to check back soon; this page is updated regularly to reflect the latest and greatest service specials we have available. Not only do we offer great discounts, but we also offer top-notch service. Our technicians are well-trained and have years of experience with Volkswagen vehicles, so you can trust that we will get the job done right. We do our best work on every vehicle that comes through our service center, so you can get behind the wheel of your freshly-serviced vehicle with confidence knowing that it is in excellent shape and that you saved money in the process. If you’re ready to save on your next auto service, be sure to check out our available specials and then make an appointment at our service center — be sure to let us know you’ve got a Volkswagen oil change coupon or are taking advantage of another of our service specials. We are always happy to help drivers like you from the O’Fallon, Granite City, Belleville, Edwardsville, IL and St. Louis, MO areas save as much as possible while keeping your vehicle in great shape.